The Penn offense hasn’t put up huge number of points this year for the most part, but that hasn’t mattered. The Kingsmen are 7-0 and ranked No. 2 in the state in Class 6-A. A big reason for that, the number zero. Zero is the number of turnovers the Kingsmen committed through their first six games. 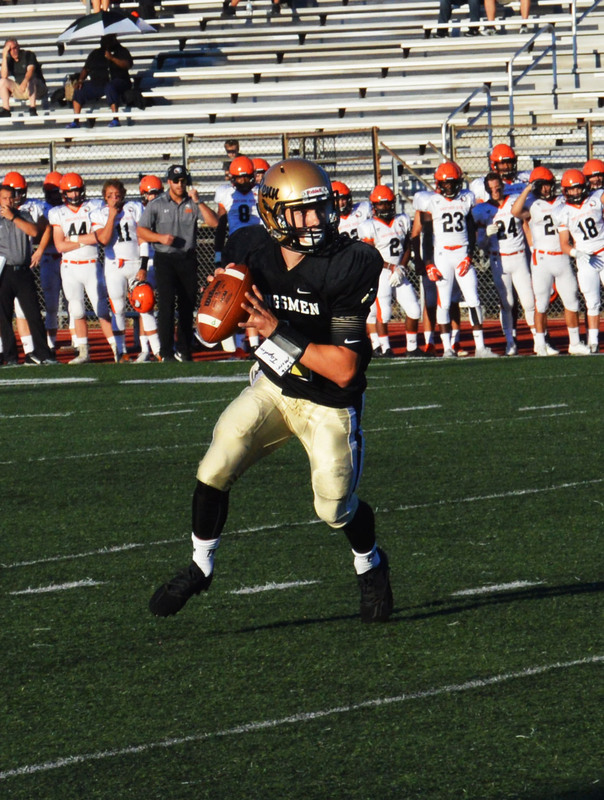 A streak of 24 quarters without a turnover ended in Penn’s 51-0 win against South Bend Clay on Sept. 30. Senior running back Rashid Maclin has been a big part for the Gold Rush offense, and is no stranger to carrying the ball with 6 touchdowns in 6 games. The stat is even more impressive considering Penn has a first-year starting quarterback. James Iapalucci, who has performed wonderfully for the Kingsmen through the first 6 games. In a 53-15 rout of South Bend St. Joseph, Iapalucci had 195 yards passing with 3 touchdowns, and of course, no turnovers. With several new faces, the Gold Rush offense has been remarkable, and with no turnovers, it’s easy for one to see why the team is rolling.